Quickly pressed after harvest, the the grapes go on a pre-fermentative “cold soak” at 45F in order to conserve the fruit’s fresh flavor and aroma. Then racked in french oak barrels for fermentation and aging. Quickly pressed after harvest, the the grapes go on a pre-fermentative “cold soak” at 45F in order to conserve the fruit’s fresh flavor and aroma. Then racked in french oak barrels for fermentation and aging. These vineyards are located in Alentejo, in southern Portugal. The soils are composed of Schist and sandy loam, at 250 m (820 ft) above sea level. Average temp during the growing season is 30 C. Average rainfall from April to October is 480mm. 70% Aragonez, 30% Alicante Bouschet. Dark garnet tinged purple. On the nose, lush blueberry, plum and red cherry aromas, overlaid with slate mineral. 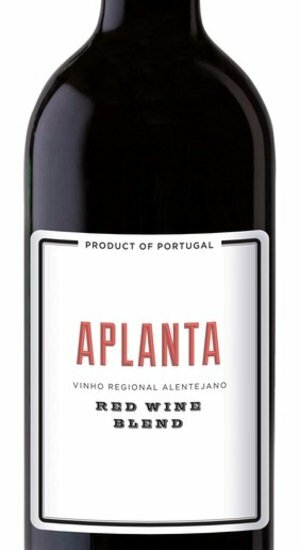 On the palate, a core of red cherry and blueberry fruit is wrapped with hints of fresh tobacco, black pepper and spice. Plush and refreshing all at once.